In 2008, Howard joined Barry Blount at to provide high quality IP legal services to the international community. Howard has practiced intellectual property law and business law at Hewlett Packard Company and Compaq Computer Corporation. In addition, he was General Counsel at Ivita Corporation. Howard’s practice focuses all aspects of patent licensing, patent preparation, and prosecution involving complex technologies including software architecture, computer networking and RF communications. He also has extensive experience in drafting and negotiating intellectual property license agreements of all types and patent validity and infringement opinions. Howard received his B.S.E.E. (High Honors) from Worcester Polytechnic Institute 1983 and his J.D. in 1994 from Santa Clara University. 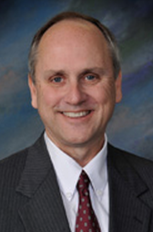 He is licensed to practice law in the state and federal courts of Texas and California (inactive). He has been registered to practice before the United States Patent and Trademark Office since 1978.